New Orleans is a great place to indulge – the coffee, the beignets, the booze, the food – almost too many options but really something for every kind of taste. Going to New Orleans and eating burger is like … well, it’s actually a really good idea if you head to a restaurant expecting to order seafood only to see the majority of Foursquare tips directing you to the best burger in New Orleans. 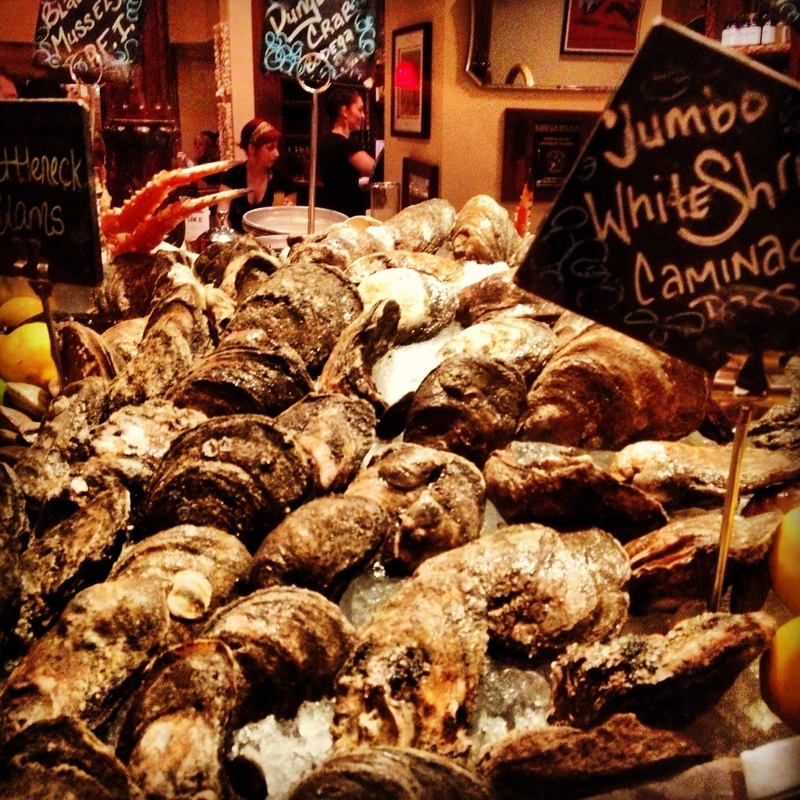 Walking into Luke, a chef John Besh restaurant in New Orleans, one of the first things you see is the Oyster Bar, full of fresh seafood and you begin to imagine the choices on the menu. And you check in on Foursquare. Then suddenly, you have a craving for a burger. From the menu description, the lüke burger is Allan Benton’s bacon, caramelized onions, tomatoes, Emmenthaler Swiss cheese with house-made fries. The bun was an onion roll and in order to make room for the deliciousness, I took off half of the bun to make room for the main course. It did not disappoint. 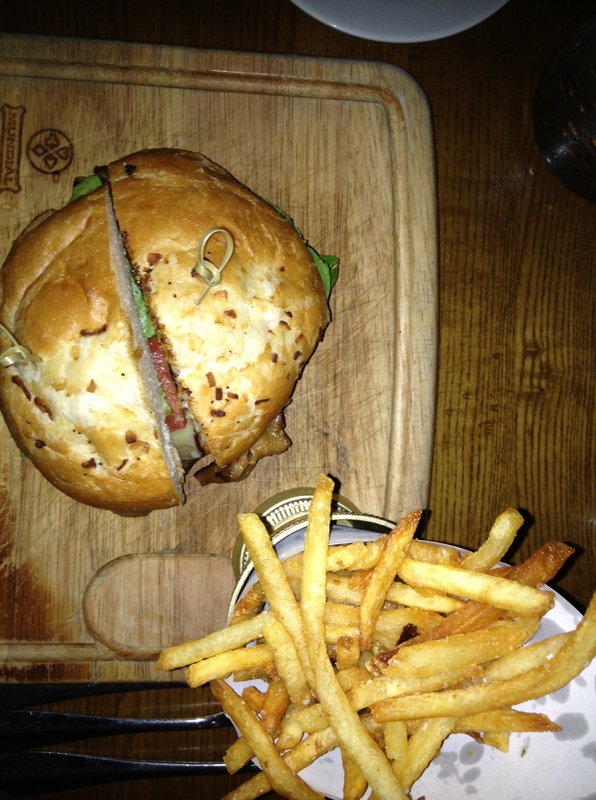 The bacon was smoky, the burger had a fantastic grilled flavor and even the fries were perfectly crispy. My companion, who I was at a conference with, had the pork chop, which was the nightly special, and said it was a crime that she couldn’t finish all of it. We didn’t have room for dessert but all indications pointed to the bread pudding. The couple dining next to us shared one and cleaned the plate. So when in New Orleans, it’s always a good idea to try the oysters, but at Luke, it’s OK to give the burger a go. You won’t regret it.